My coverage of Steve Rivera’s music began two years ago with Dividing The Darkness. 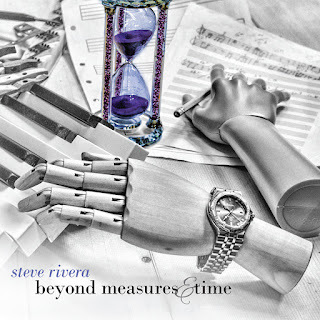 Now a release that came out a few weeks ago titled Beyond Measures & Time has arrived. It was easy to notice the prolific artwork on the cover of the album. It looks very thought-provoking and the first artist I thought of was Dali. It is a mixture of modern with the old, the sands of time slip away the old-fashioned way or the modern way with the wristwatch. The hand looks more robotic than that of a mannequin. So right away the images are telling a story before you ever hear a note played. This recording is all solo piano instrumentals. It is one of many I have heard this year. And as with the other recordings, I found so much enjoyment in the music. 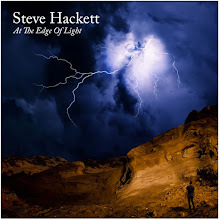 The simplistic approach serves some artists so well, in this case, it works beautifully for Steve. The adage of less is more certainly is applicable in this case. Although the piano is the only instrument there is plenty of flow and rhythm, it fills the room you are in. “Waves and Particles” is one of the better examples of a constant rhythm and destination for the music. It is all about the rhythm and flow of the music and where it can take you. From where I am coming from, it really fits that description. There have to be tones, vibrations, colors and rhythm for me to get in sync with the music. It all felt quite natural to fall into a pocket of sound and just go with it, then let my soul just float away with it. That is my form of release and meditation, it is very healing. 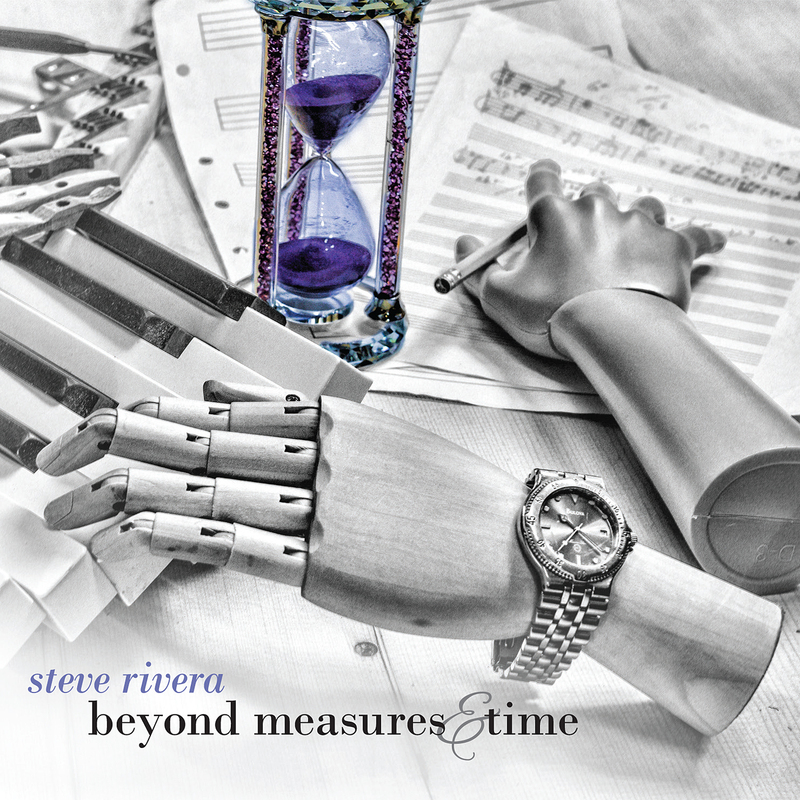 Beyond Measures & Time is the perfect title for this recording. The essence of time and measures is scientific, mathematical, it is in essence cerebral. I think what the artist may be saying here is that music transcends all of that thought process. This all part of our daily life - time and schedules, then measuring that time to fit into a schedule. Music so beautiful and properly arranged removes us from an equation and puts us in a space that finds a comfort zone with no particular cause or thought other than to center and relax, heal and eventually reenergize because the music took us to that point. For this listener, that is the perfect scenario.